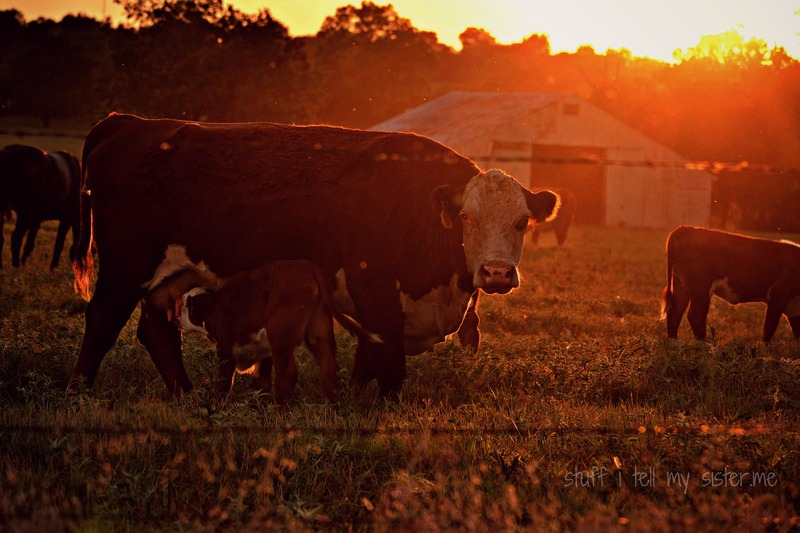 This entry was posted in Family, Oklahoma, photos, Ramblings, Reflections, Relationships, Skies and Sunsets, Sunset photos, Uncategorized and tagged Beef, calves, Cattle, cows at sunset, family, Sundays, taters, The cattle on a thousand hills. Bookmark the permalink. Thanks, Lorri. We still have rain here! Yay! Us too – I’m sitting on the porch enjoying it! That’s very sweet.My mom used to do that too – add another line to standard poems. These are things we never forget. But is there gold in them thar hills ? This reminds me about the summer evening in Scotland, when they are good … not many – but the summer 2006 was full of them and driving to my hotel from work I passed the fields with that cattle – and it was just like this before the sunset. Love this. Do you live … out in the country like that … how wonderful. Same distance to two worlds then. Lucky you. Beautiful photos, been awhile since I have seen a sunset so pretty. Hubby’s Dad was a very wise man. And tell Carl D’Agostino that there is gold in them thar hills if the taters are Yukon Golds. I won’t eat anything else. LOVED the pictures!!! 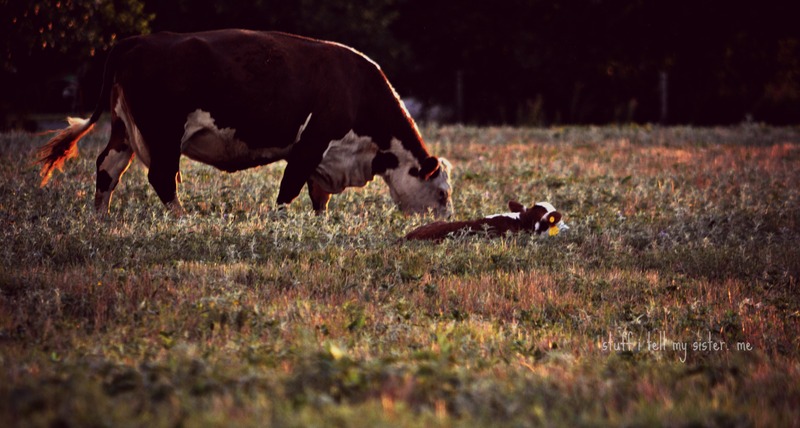 I went all cow crazy when I first moved here ( still do ) seeing the baby calves just warms my heart. My husband and co-workers laugh but can you blame me?? it’s not like I saw farm life out in California!! Happy day. I haven’t seen grazing cattle in a good while.